I bumped into strange problem: I have prepared some animation with cubes and text, at some point my text is fading in, but in the early phase it is totally transparent. 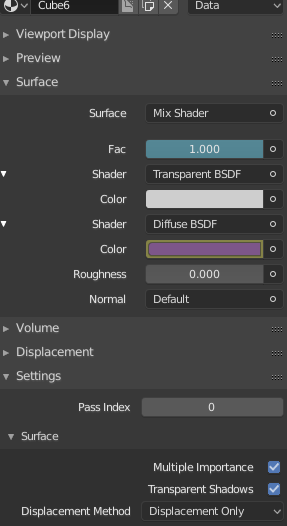 The shader used for material is mix shader with transparent and diffuse. In evee render engine I'm getting proper result in preview, however, when trying to render in Blender 2.8 using Evee the program crashes. 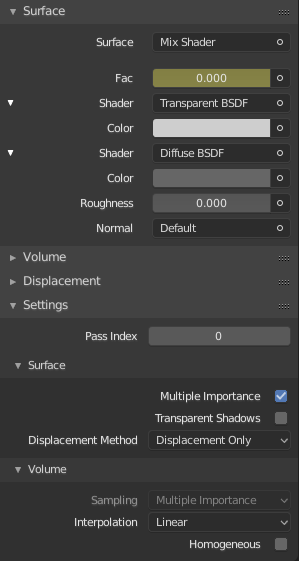 Now I changed to Cycles render, the rendering starts properly, but unfortunately there is the issue with transparency - the fully transparent text makes some kind of cutout which should not happen - it is behind the boxes and it should be invisible. Is there any setting that I should try? I found somewhere in the net information about mask and Z transparency but couldn't find it in 2.8 version. Make sure you don't have objects in the same position overlapping, I initially thought that I moved one object behind others but forgot to add keyframe for that. It resulted in overlapping meshes and was the reason of the unexpected render. Not the answer you're looking for? Browse other questions tagged cycles rendering transparency or ask your own question. Is there a way to stop Cycles Computing Transparency? How to control the transparency of the center of the object? Is it possible to have true transparency (without ghost shadows)?